The apartment is beautiful and in excellent location. We reached most major attractions by foot or with just a few stops on the metro. The apartment was also easy enough to get to from the airport. The area itself is also great, with good restaurants and cafes nearby and a bit away from the tourist masses of the downtown area. The apartment has a large living room, a separate bedroom, and 1.5 bathrooms. The kitchen has everything to cook a few simple meals and to make breakfast, and at least during our stay had simple necessities like salt already stocked. The apartment also has an ironing board and iron, and a washing machine. The host was there well on time to hand over the keys and to give us a brief introduction to the apartment. No waiting for him to show up (as has happened to me at other locations before). All in all, I'd stay here again anytime! Great location, comfortable flat, has everything you need. Good size and comfortable, easy to get to with location. the location was super ideal and it was easy to move around. The apartment is located in nice historical building, it was very beautiful and made me feel like I really live in Vienna. It was also very clean and there was an additional heater in case you might be cold. I fully appreciated that as I am always cold. Large lounge room and bed room. Wifi was very fast and reliable until it reached it's monthly quota of downloads. I'm sure this could have been resolved with the host if I had chased it up however I was not bothered about not having any internet for my final days stay. The flat is in a quiet area which is, nevertheless, close to the centre of Vienna, especially the Museum area. Good location, easy access by car. Walking distance to the centre (museum quarter), or very close Metro station. Parking not on the street, but in the courtyard - very narrow entrance, like for C1 :-). Shops and restaurants around, short walking distance. Large room, very clean, lovely property manager, laundry facilities available. 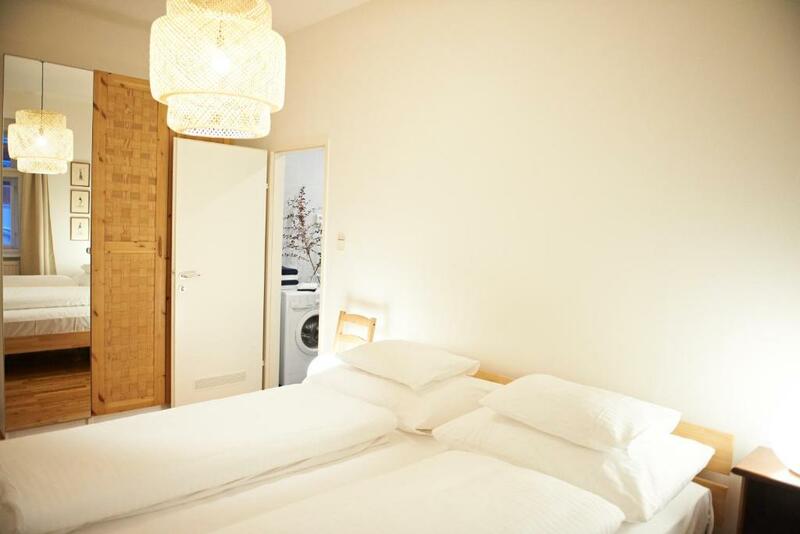 Lock in a great price for Viennaflat Apartments - Franzensgasse – rated 8.3 by recent guests! 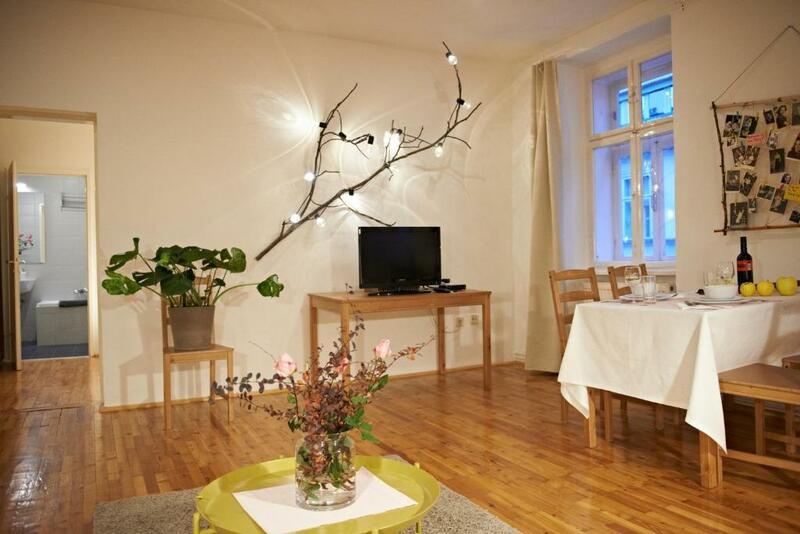 The Viennaflat Apartments - Franzensgasse are located in in Vienna’s vibrant 5th district, a 2-minute walk from the Naschmarkt Open Air Market, and offer stylish accommodations units with free WiFi. The Vienna State Opera is 0.6 mi away, and within 5 minutes on foot, the Mariahilferstraße Shopping Boulevard can be reached. The modern Viennaflat Apartments all come with large windows, a flat-screen satellite TV, views of the courtyard, and a bathroom with a hairdryer. Each apartment’s kitchen is fitted with a coffee machine, a dishwasher, a dining area, and a washing machine. 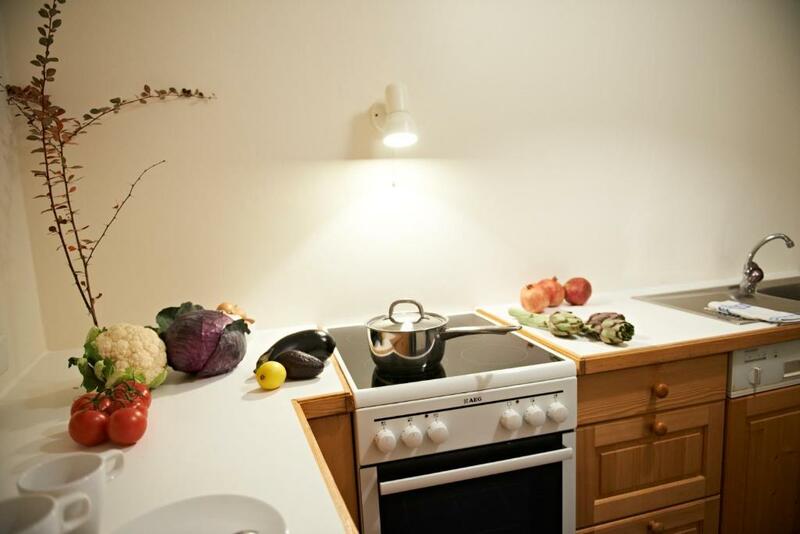 Within 650 feet from the property, guests can find a supermarket and several restaurants. The underground station Kettenbrückengasse (line U4) is 500 feet away. St. Stephen’s Cathedral can be reached within 15 minutes on foot. Schönbrunn Palace and Zoo are a 15-minute underground ride away. 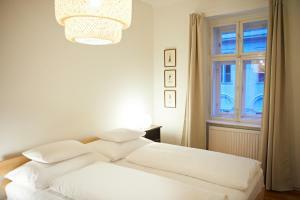 When would you like to stay at Viennaflat Apartments - Franzensgasse? Modern and spacious apartment with a sofa bed, views of the courtyard, wooden floors, a kitchen with a dishwasher, free WiFi, a flat-screen satellite TV, and a bathroom with a shower and a hairdryer. A washing machine is also available. 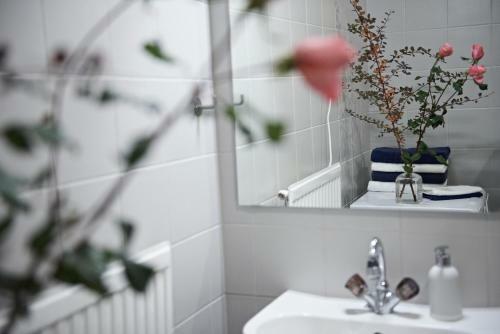 Modern apartment with views of the courtyard, wooden floors, a kitchen with a dishwasher, free WiFi, a flat-screen satellite TV, and a bathroom with a shower and a hairdryer. A washing machine is also available. 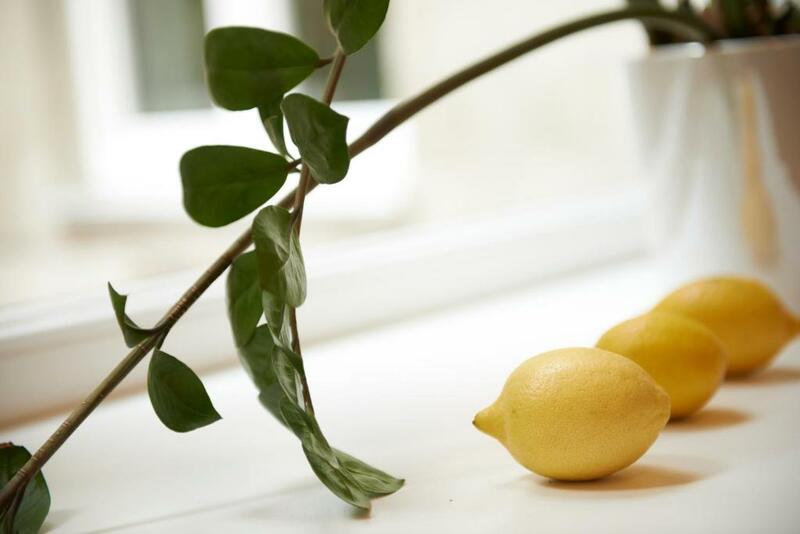 Modern and spacious apartment with a terrace featuring views of the courtyard, wooden floors, a kitchen with a dishwasher, free WiFi, a flat-screen satellite TV, a sofa bed, and a bathroom with a shower and a hairdryer. A washing machine is also available. 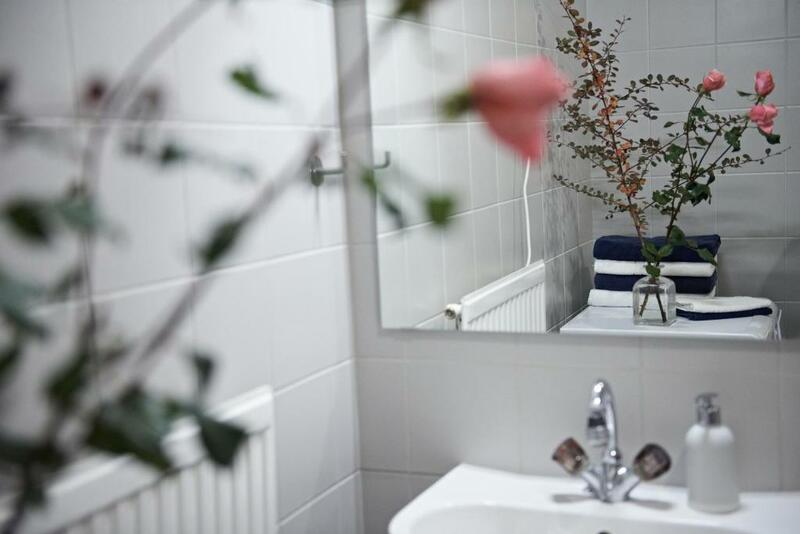 Modern and spacious apartment with views of the courtyard, wooden floors, a kitchen with a dishwasher, free WiFi, a flat-screen satellite TV, a sofa bed, and a bathroom with a bathtub and a hairdryer. A washing machine is also available. 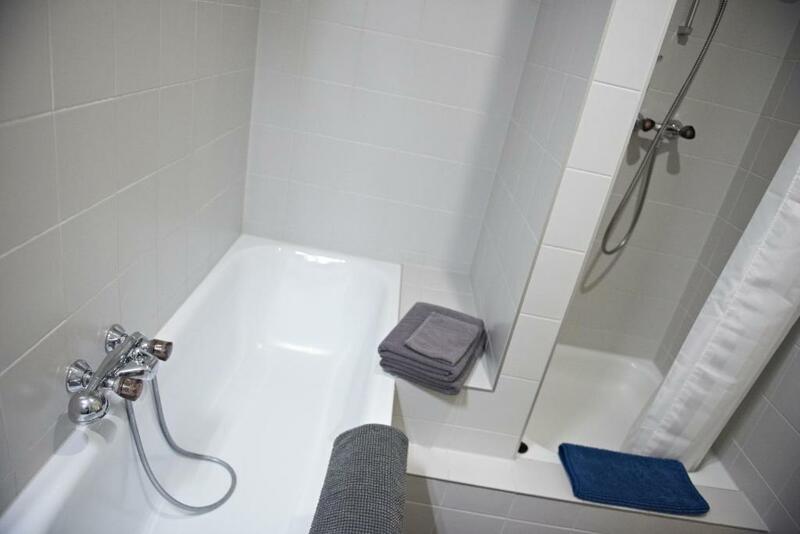 Modern and spacious apartment with a terrace, wooden floors, a kitchen, free WiFi, a flat-screen satellite TV, and 2 bathrooms, one featuring a shower and one featuring a bathtub. Viennaflat Naschmarkt Apartments, 1050 Wien are located in a quiet area in a back yard house of the 19th century. The high ceilings and tasteful furnishings make you feel you at home in our fully equipped Viennaflats. 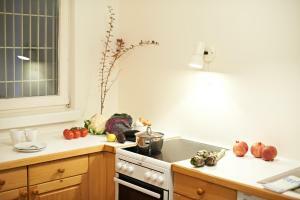 Our Viennaflat Naschmarkt Apartments are located just some steps from Viennas most famous market, the Naschmarkt. There are many restaurants. To Viennas 1st district (old town / Karlsplatz, where most museums and sight seeing attractions are located), it is just a short stroll through the Naschmarkt or you go one station by underground. 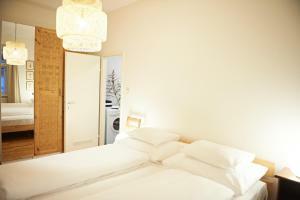 House Rules Viennaflat Apartments - Franzensgasse takes special requests – add in the next step! Viennaflat Apartments - Franzensgasse accepts these cards and reserves the right to temporarily hold an amount prior to arrival. Please note that the property has no reception. Please let the property know your expected arrival time in advance and call them 30 minutes before your arrival. Contact details are stated in the booking confirmation. Please inform Viennaflat Apartments - Franzensgasse of your expected arrival time in advance. You can use the Special Requests box when booking, or contact the property directly using the contact details in your confirmation. Heating not working in the evening. Flat requires some refurbishment, especially wc. there was a really bad cigarette smell throughout the whole apartment. this really disrupted our stay as we are non-smokers. An extra charge of 29euros if you arrive later than 22:00. Perfectly clean and comfortable, great location! The sofa bed was not very comfortable and we did not have a kettle for boiling water at first (but the hosts did fix that very quickly). Also the blinds let a lot of light through. No actual shower, just part of the bathroom separated by a curtain. The shower curtain....I prefer a door. Right accross the road from the metro/underground station and Naschtmarkt. Washing machine is a bonus! The terrace was also nice.